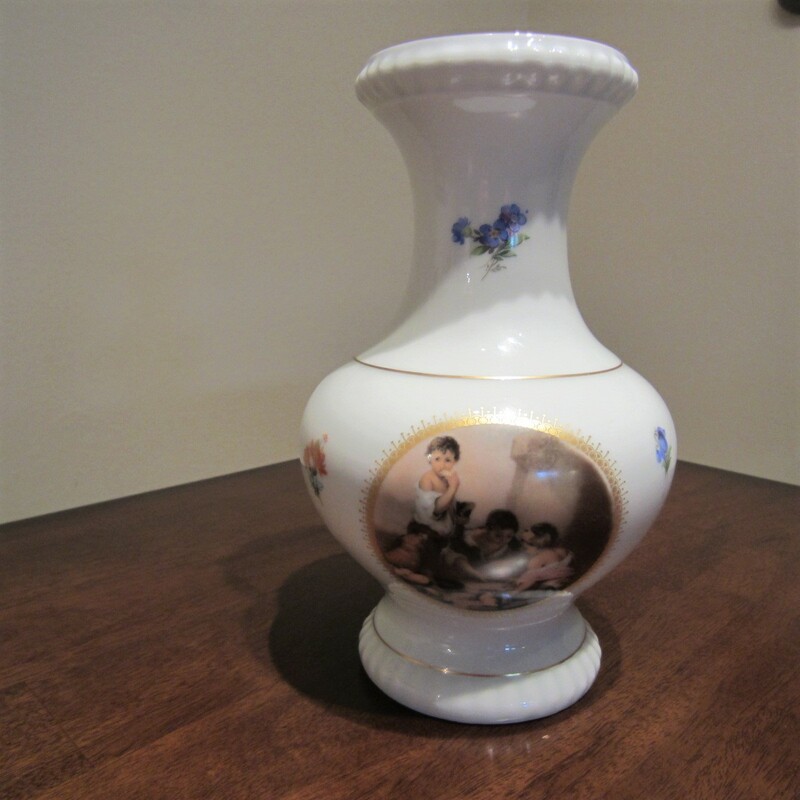 This stunning, Bareuther Waldsassen floral gold design Bavaria Germany porcelain vase is in Excellent condition. Never used, only on display. 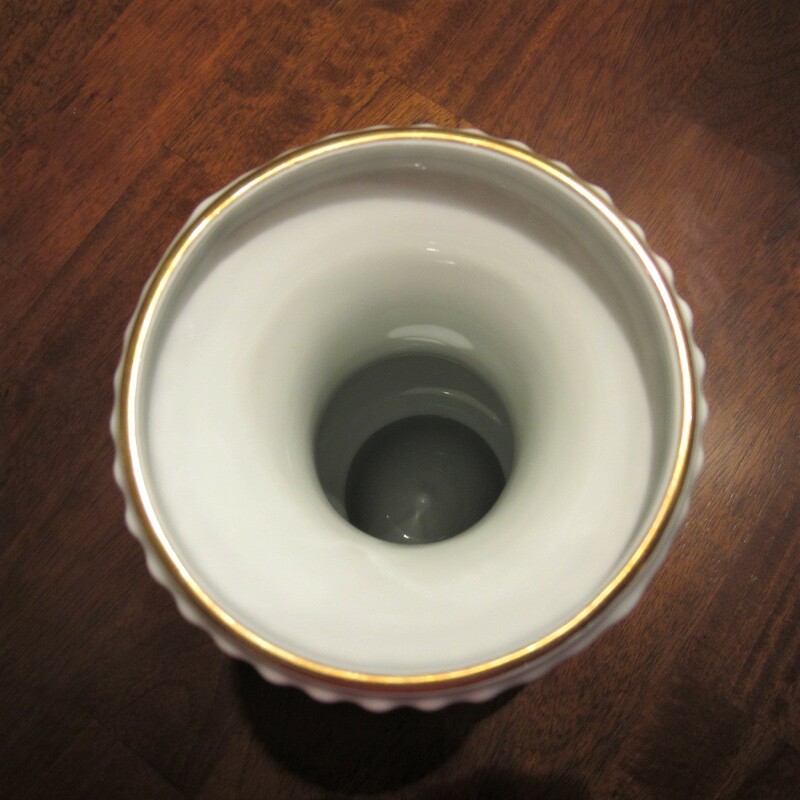 A simply beautiful piece with gold rim at top, middle and bottom that is clear and bright. 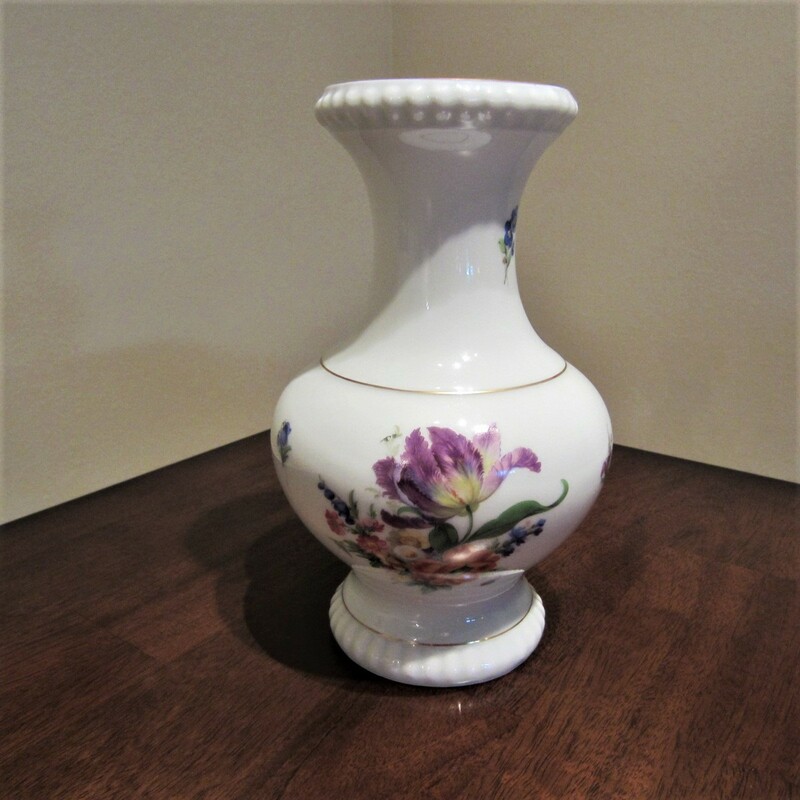 This stunning, Bareuther Waldsassen floral gold design Bavaria Germany porcelain vase is in Excellent condition. Never used, only on display. 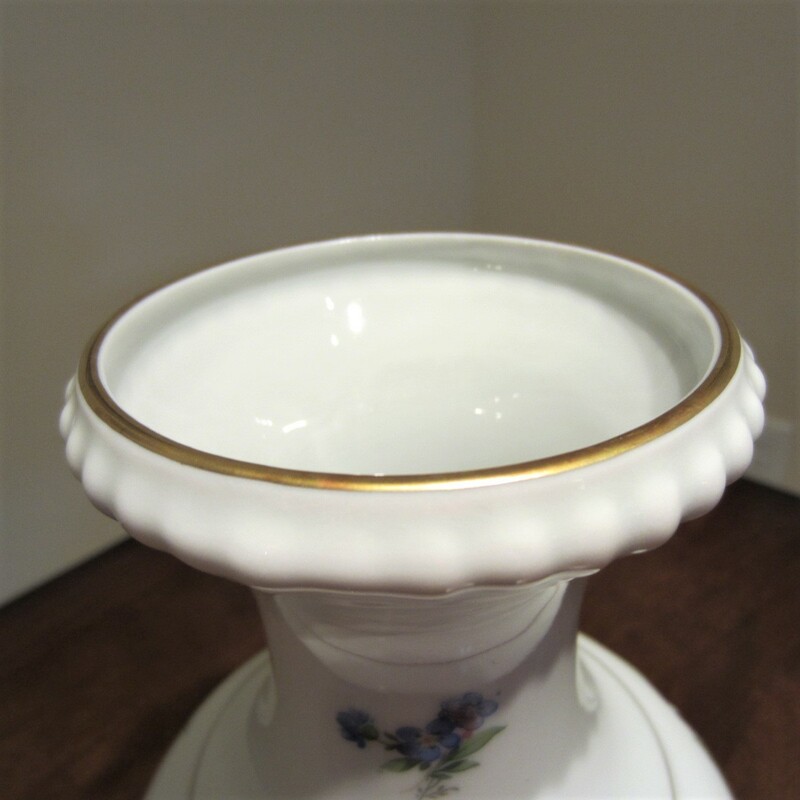 A simply beautiful piece with gold rim at top, middle and bottom that is clear and bright. 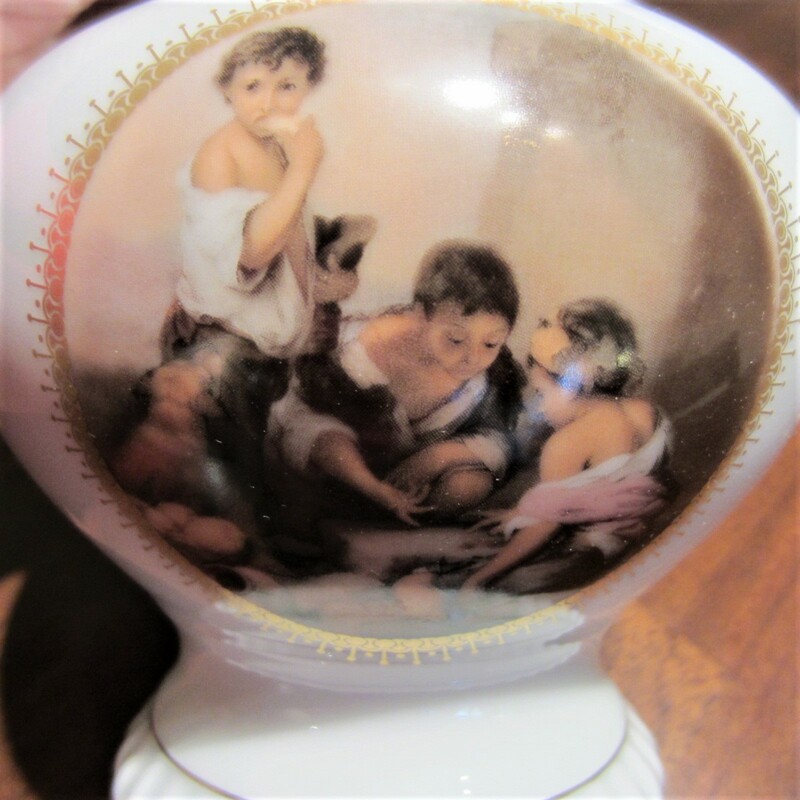 The floral design on all sides is bright with a dog, and children playing a game on one side that is clear and defined. 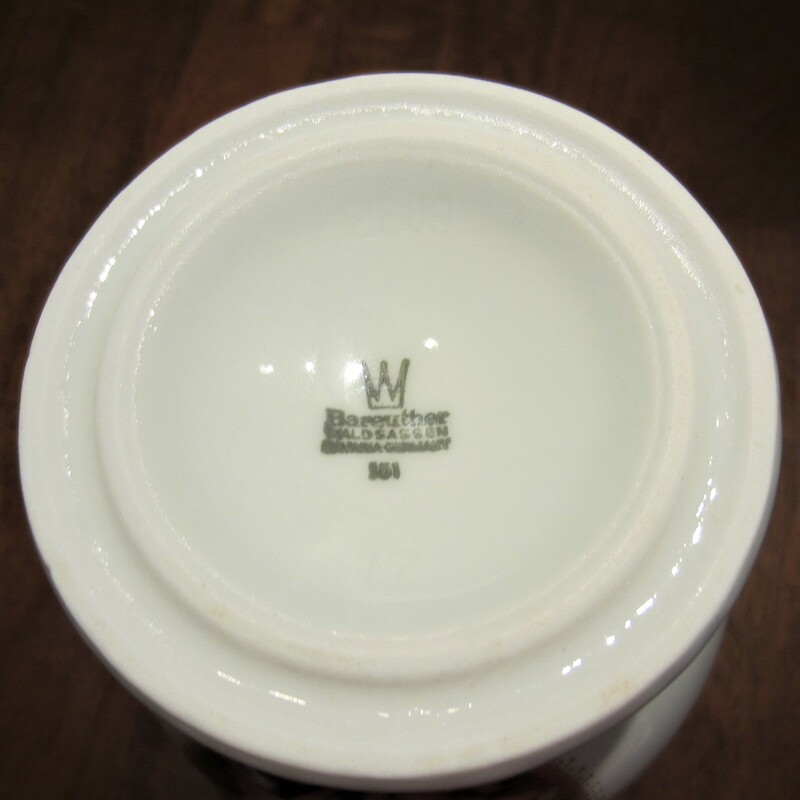 Has the green Bareuther Waldsassen Bavaria Germany mark on the bottom of the base with a number that might be 351. 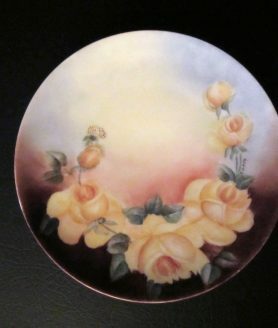 Will be an elegant addition to your home or give as a gift. 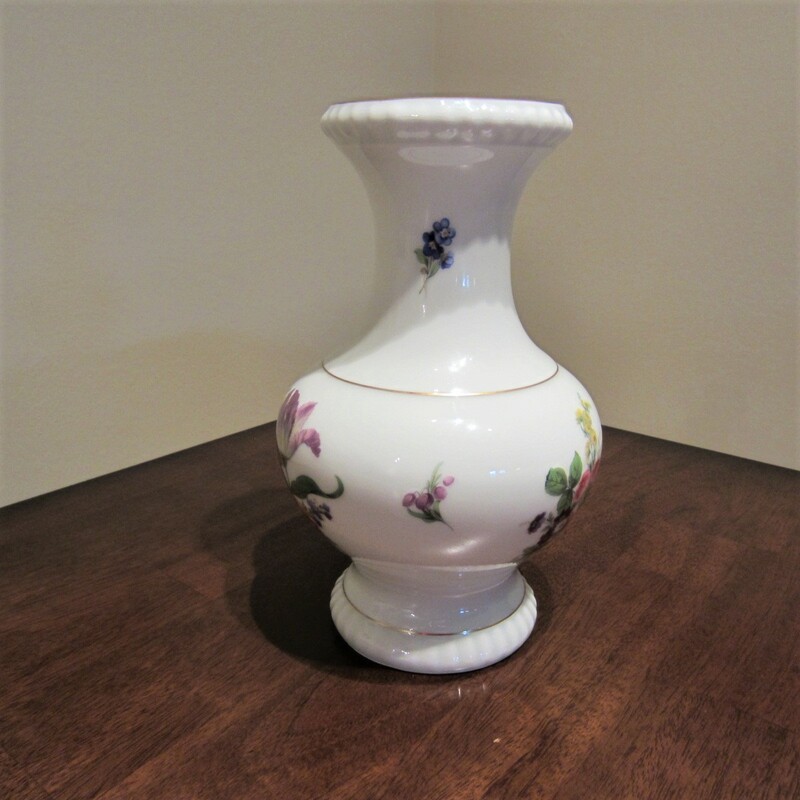 Don’t miss out on this beautiful vase! Excellent, clean pre owned condition with no cracks, chips, scratches or stains. Never used, only on display. A simply beautiful, floral, piece. 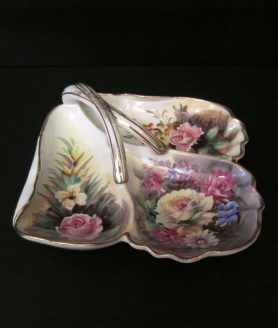 Will be an elegant addition to your home or give as a gift. 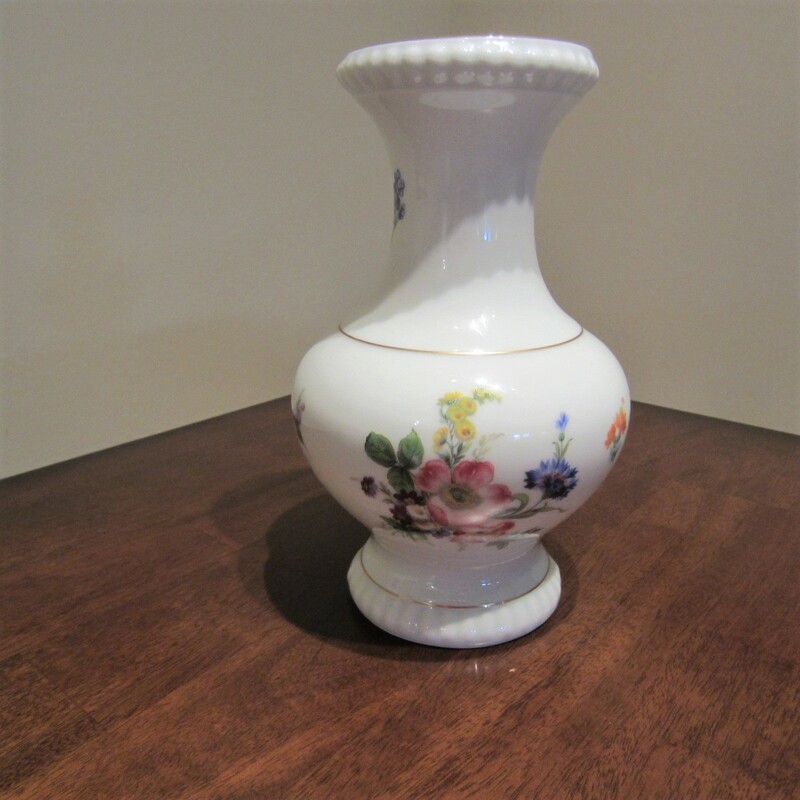 Don’t miss out on this beautiful vase!